Ultra High Pigmentation, Ultra Long Lasting – Enriched with Moisturising Coconut Oil & Anti-ageing Vitamin E and virtually Kiss Proof and Drink Proof, the lipstick is designed to stay on and stay comfortable. 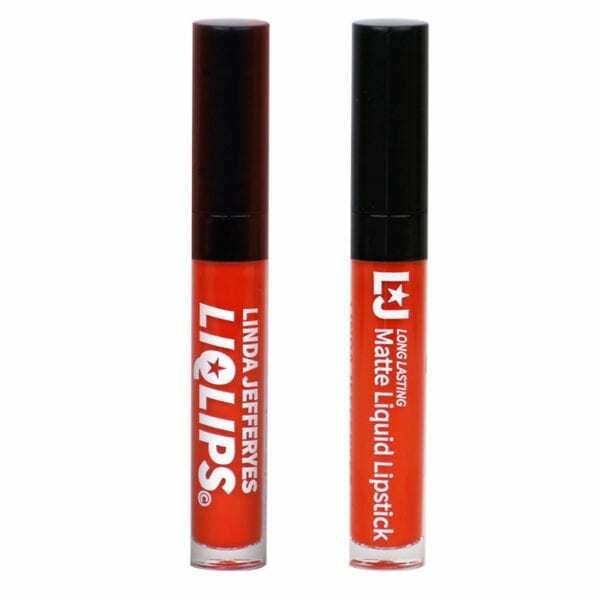 Linda Jefferyes® LIQLIPS™ Matte Liquid Lipstick – Ultra Long Lasting, Ultra High Pigmentation. Perfect for everyday use from translucent* application to full-bodied richness. * LINDA’S TIP: For the lightest most translucent application apply just one dab of Linda Jefferyes® LIQLIPS™ Matte Liquid Lipstick and use finger to smear over lips pre-moistened with lip balm. Great quality lip balms are Lanolips and the luxurious Organic Cacao Lip Balm from Welleco. I love the feel and does not smudge like some other brands! Fabulous lippie – Will be buying more.